A partner at Boies, Schiller and Flexner LLP’s Miami office, Zack is an veteran trial lawyer who has represented many notable clients through the years. In addition, Zack is a longtime leader in the legal profession and the first Hispanic to be chosen as president of the American Bar Association (ABA). Born to an American father and Cuban-American mother, Zack remembers the pre-Castro era in Cuba and the day that changed his life. In 1961, he was about to fly to the United States with his mother, sister and brother, when the Cuban intelligence service took them off the plane, held them incommunicado at Jose Marti Airport, and later placed them under house arrest. Zack and his family members were eventually released and allowed to fly to Miami, where they soon put down new roots with his father, who was a U.S. citizen. An advocate of diversity at an early age, Zack recalls giving a speech in Spanish and English at Miami Beach High School when he ran successfully for student government. “That was really unheard of in 1964,” he says. 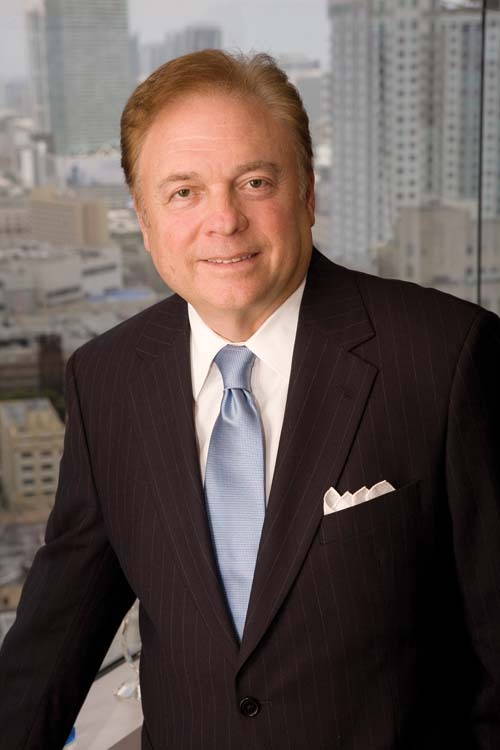 After earning his bachelor’s degree in political science and his law degree from the University of Florida, Zack returned to Miami, joined The Florida Bar in 1971, and then went to work for U.S. Senator Claude Pepper (D-FL) in Washington, DC, as his legislative aide. Zack’s main practice area is complex commercial litigation, emphasizing class actions, products liability cases and federal multi-district litigation. He is a specialist in civil trial law, as well as eminent domain, corporate and international law and arbitration. Zack has represented former Governor and U.S. Senator Bob Graham as general counsel; the Florida Senate; the Florida Department of Professional Regulation; the Cities of Hollywood, Hialeah, Miami Beach, Miami and numerous national clients such as Philip Morris and National Geographic Society. In 2000, he represented former Vice President Al Gore in the trial of Bush v. Gore. Zack has also been a leader in the legal profession, serving in key state and national positions. He was chair of the Florida Ethics Committee and was appointed by Governor Lawton Chiles to the Florida Constitution Revision Commission. However, Zack also took the lead in defeating a proposal to authorize multidisciplinary firm practices with the alternative business structure (ABS) model. “I opposed that model because the legal and accounting professions have different ethical standards,” he says. Today, Zack says The Florida Bar is recognized as one of the best in the U.S., and its decisions often set the tone for other bar associations. “We’ve also done a good job of policing ourselves, and maintaining our discipline,” he adds. On a national level, Zack was elected as president of the ABA in 2010, where his accomplishments included forming the first commission on Hispanic legal rights and responsibilities, and a pro bono report examining voting rights and immigration issues. A third accomplishment was improving the legal system’s ability to respond to disasters. Zack also criticizes the lack of civic education in the nation’s high schools. “When you ask people about the three branches of government — executive, legislative and judicial — the most common response is ‘Democrat, Republican and independent,’” he says. Reflecting his efforts to promote diversity and support legal education, Zack established a foundation at the University of Florida, which has honored him as a “Distinguished Alumni,” its highest recognition. In addition, the law school named one of its principal buildings Steven N. Zack Hall. Looking to the future, Zack believes the practice of law will change dramatically in the next 10 years, due to continuing advances in technology. “We already have the virtual law firm and cloud computing infrastructures,” he says. “I expect that we will see situations where lawyers band together for a case and dissolve afterwards.” However, the decline of traditional law firms also means that new lawyers may start their careers without the benefit of traditional training and support. “I love the law and have devoted my career to the pursuit of justice,” Zack says. “I hope this next generation of attorneys shares that same passion.